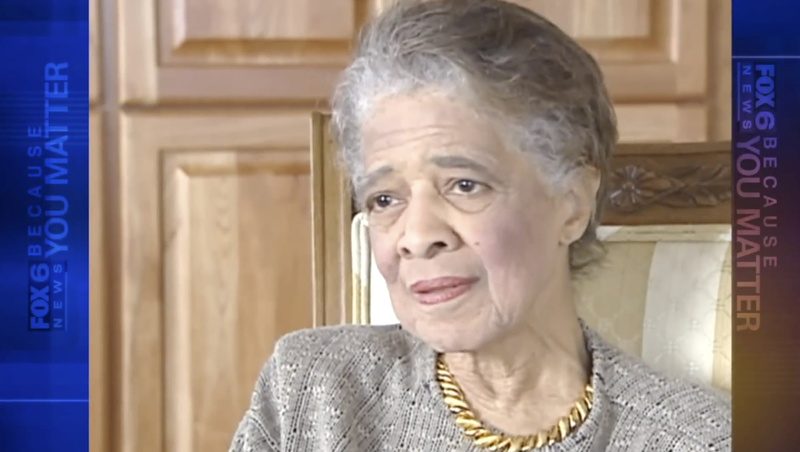 Milwaukee civil rights leader Vel Phillips—whose life was marked by shattering glass ceilings and tireless activism—died Tuesday evening at the age of 94. Phillips was a pioneer, a giant among her people, recognized for the work she did for civil and human rights across Milwaukee and Wisconsin as a whole, Fox6Now notes. She was the first black woman to graduate from the University of Wisconsin Law School back in 1951. In 1956 Phillips became the first woman and the first African American to sit on Milwaukee’s City Council and would remain alone in those accomplishments for years. Her trailblazing did not stop there. She later became the first female judge in Milwaukee County, then the first African-American judge in Wisconsin, before ultimately becoming the first female and first nonwhite secretary of state in Wisconsin, serving from 1979 to 1983. And even after a lifetime and career of accomplishments, Phillips didn’t slow down. She remained active on several local boards. Phillips echoed the loneliness she felt being at the top of her game, being the first so many times, over and over again. Still, she persevered, her accomplishments piling on. She remained a longtime member of the Community Brainstorming Conference, an unofficial gathering of prominent and not-so-prominent residents concerned with local issues. In 2002, she was named to a distinguished professor chair at Marquette University’s School of Law, with the goal of producing a memoir about the civil rights struggle in Milwaukee. The Milwaukee County Children’s Court Center was renamed the Vel R. Phillips Juvenile Justice Center. Earlier, the YWCA near Teutonia Ave. and Capitol Drive bore her name until it was closed. The Vel Phillips Foundation was created in 2006. With news of her death, her city once again sought to honor her. On Tuesday, the Common Council unanimously voted to create the Vel R. Phillips Trailblazer Award, which will establish an annual award to recognize Milwaukee residents who represent Phillips’ legacy of civil rights and human rights, Fox6Now notes.